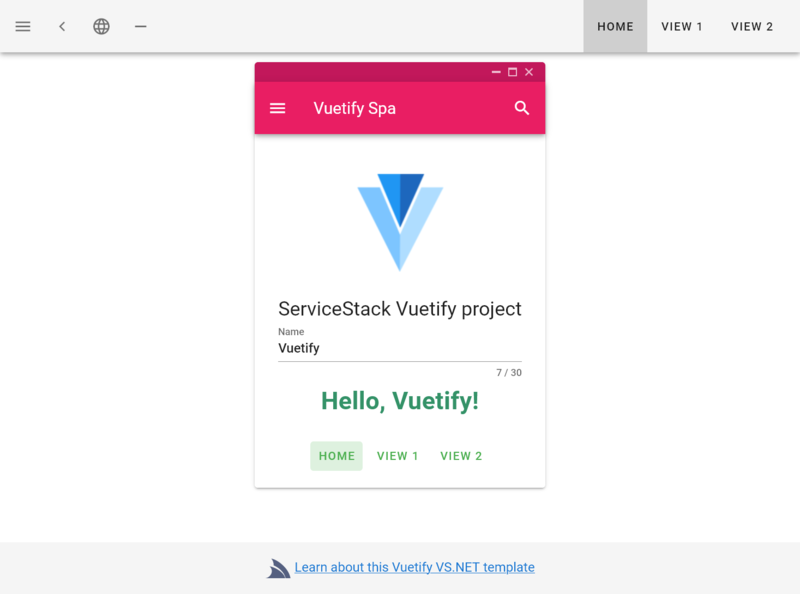 We believe Vuetify is one of the best UI Component libraries available which realizes this promise of increased productivity with its broad number of actively maintained and beautifully designed components that offers both a consistent development model and a consistent visual aesthetic that follows Google’s Material Design. Behind the scenes Vuetify components are just Vue components that can be added to any existing Vue App where you can choose to use as much of or as little of Vuetify components as you’d like. One of the advantages of using Vuetify Form Components is that they provide is a consistent validation model across all their controls which supports validation rules in the form of an array of lambda expressions and an error-message property for manually assigning error messages. 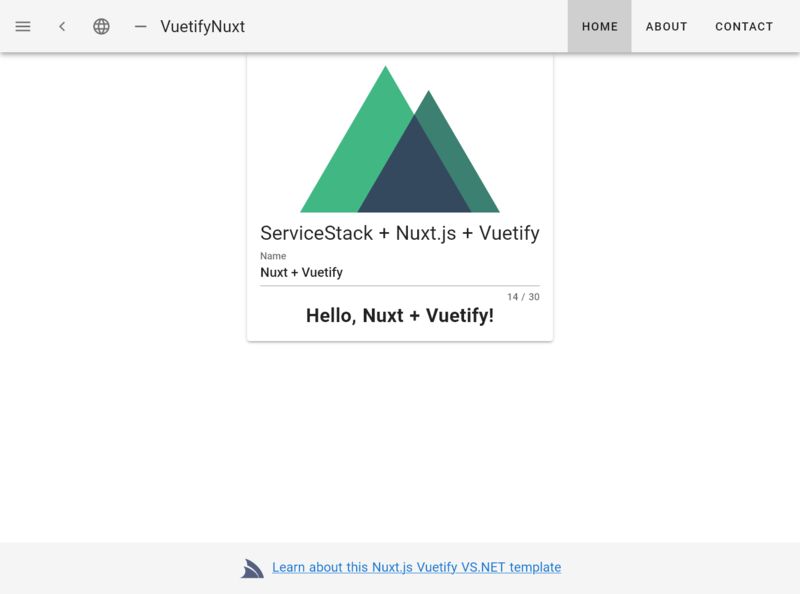 We’ll walk through the TechStack’s CategoryEdit.vue as a simple example of a CRUD form built with Vue/Vuetify which is used to Update and Delete existing categories or Create new ones. Refer to the source code for the complete implementation, we’ll highlight and document the main parts containing the functionality to validate the form and send the API Requests. 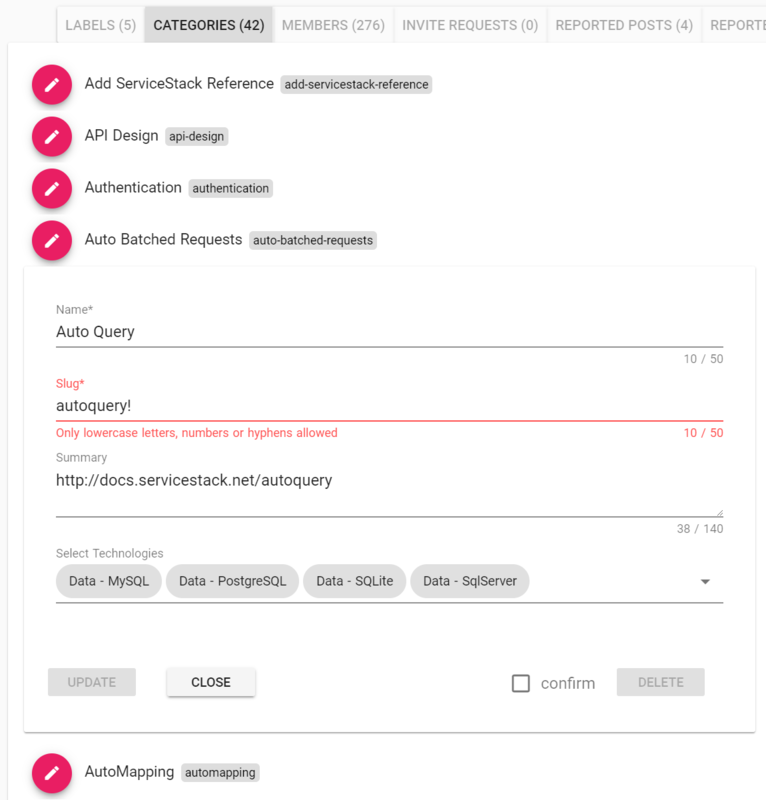 All forms follows the same approach where they each have a validation errorSummary to display any General Service Exceptions and Vuetify Input controls configured to show both client-side and server validation errors. The rules attribute is where client validation rules are assigned, they can be declared in-line within the template but as the same rules are shared across multiple components they’re declared in /shared/utils.js. Which is just using the DTOs generated with npm run dtos with ServiceStack’s generic JsonServiceClient.